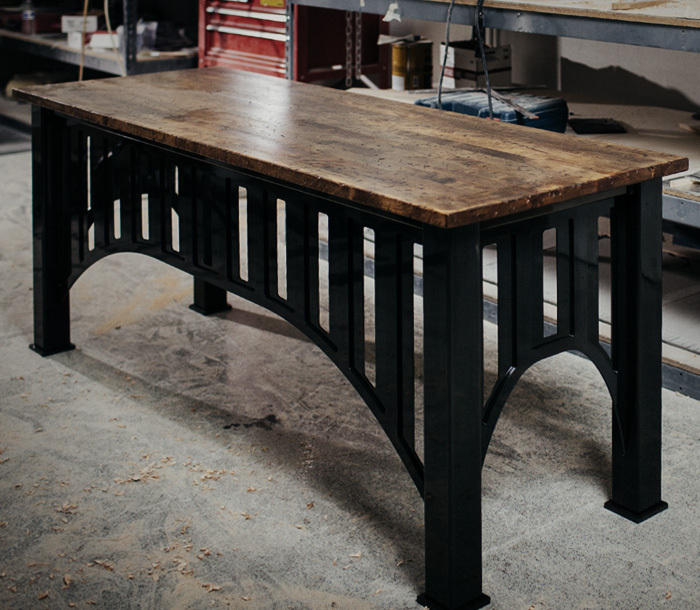 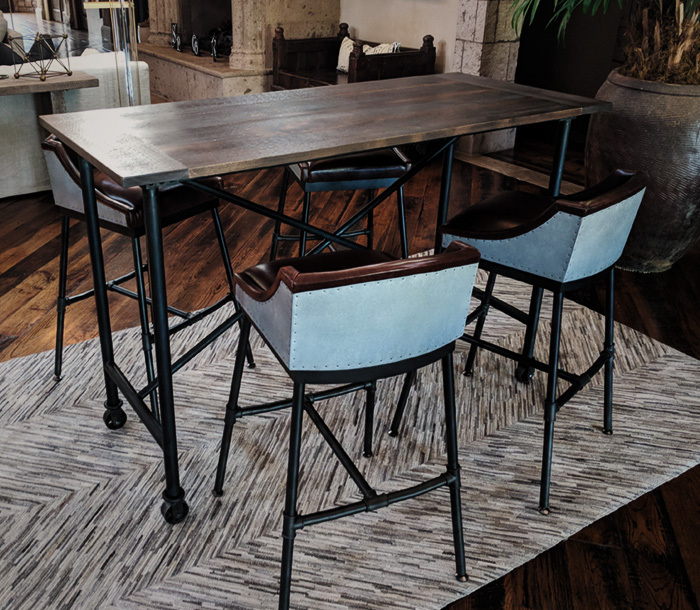 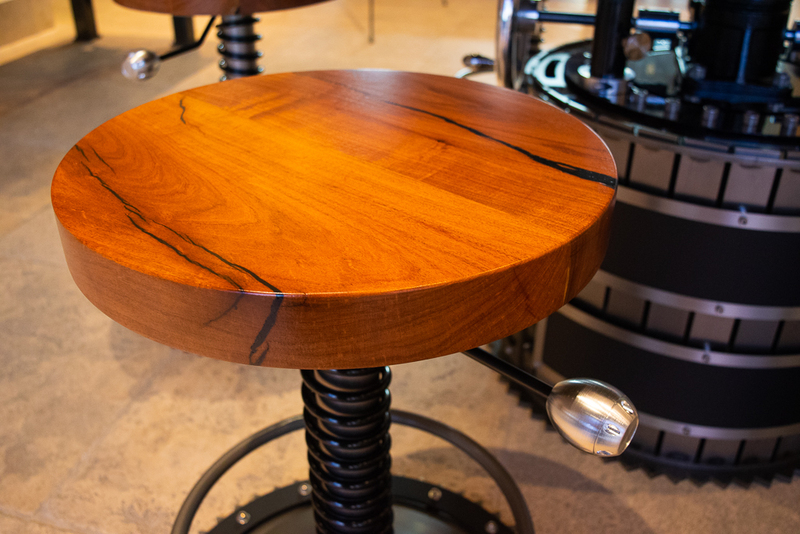 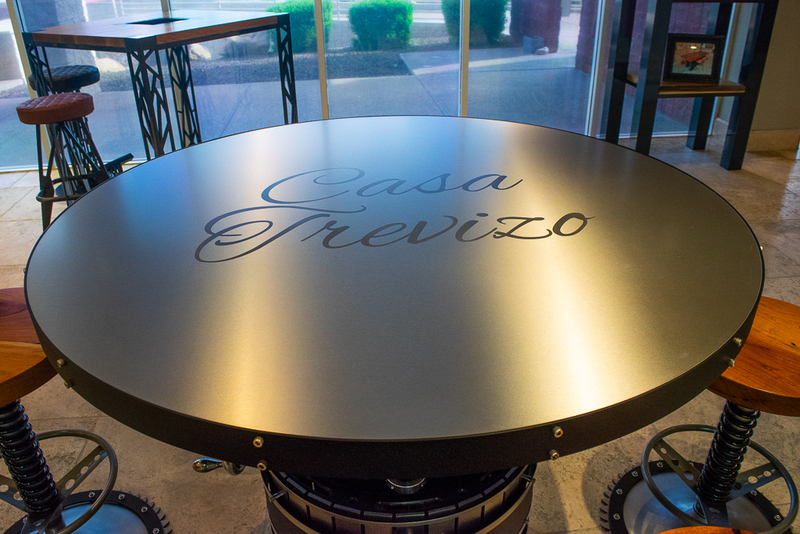 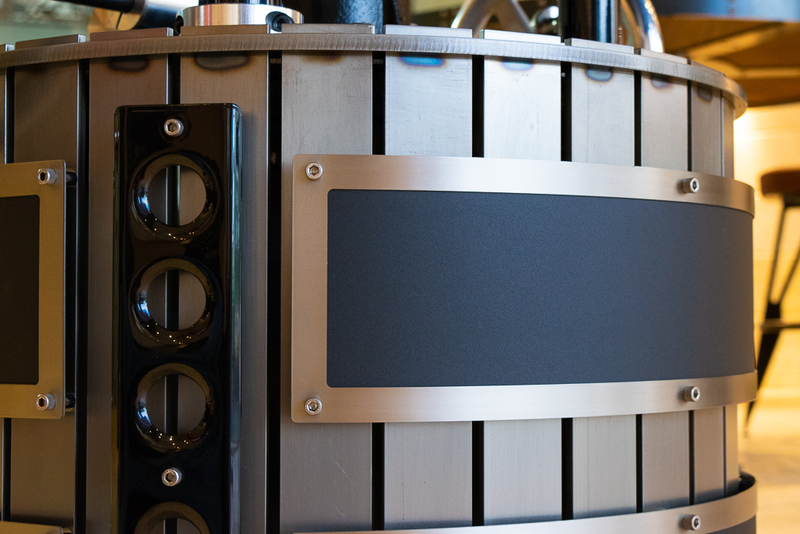 From the 48″ stainless steel top cut from a single sheet and etched with the family name, to the 2 inch thick mesquite slabs atop each stool – there’s nothing ordinary about this custom table! 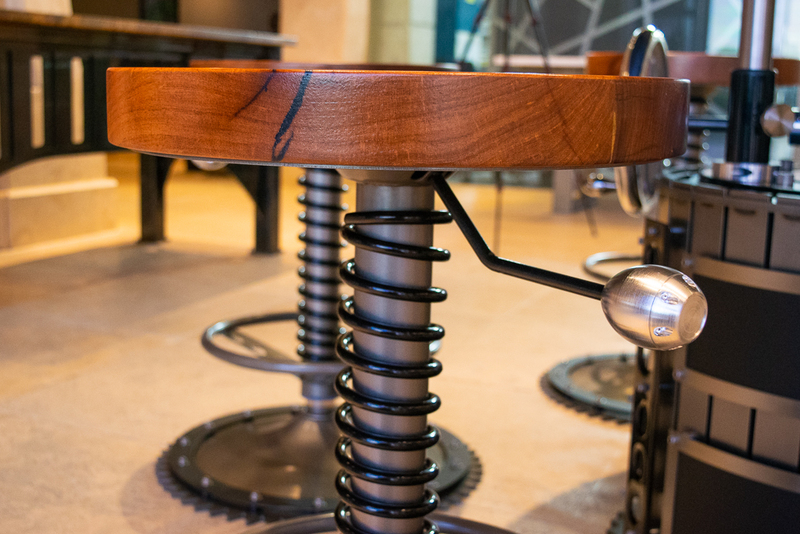 Designed for outside use, every metal piece has been powder coated to protect and the wood seats have been carefully finished with a special epoxy that lets the natural beauty of the mesquite shine through while protecting it for years to come. 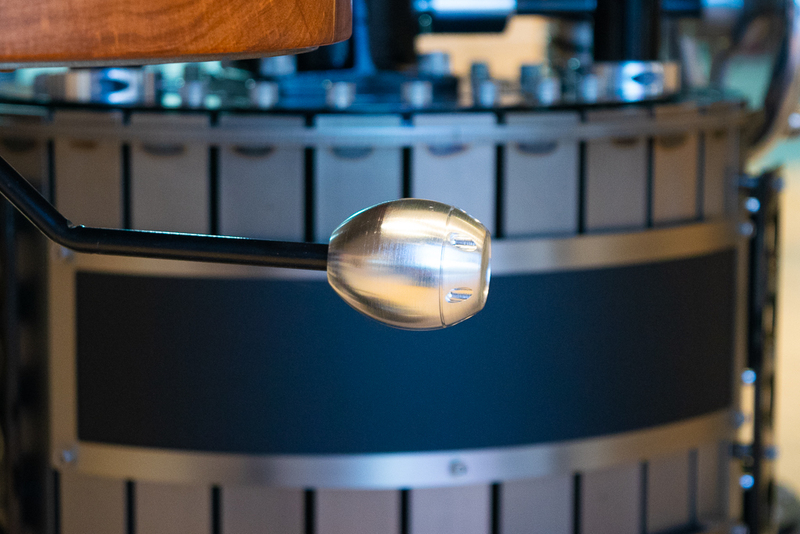 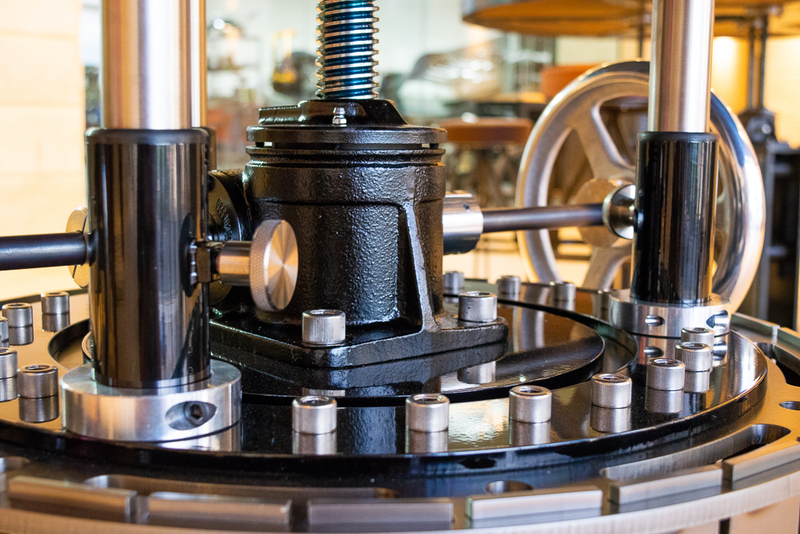 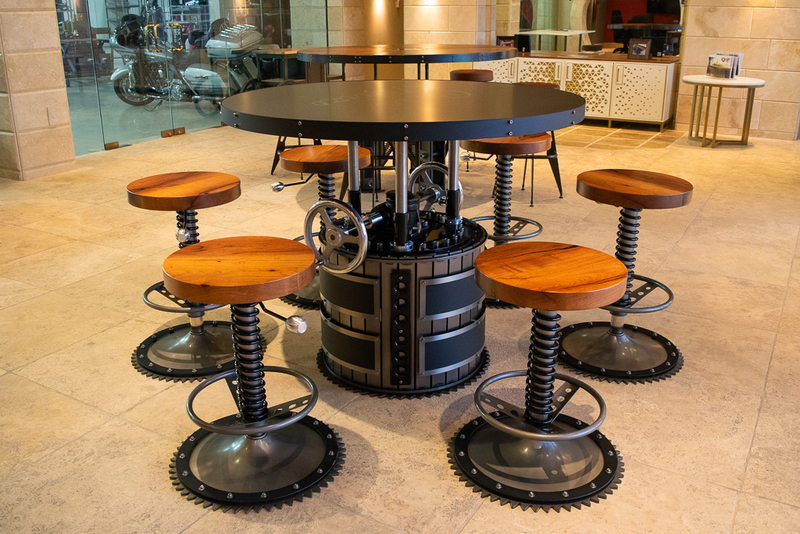 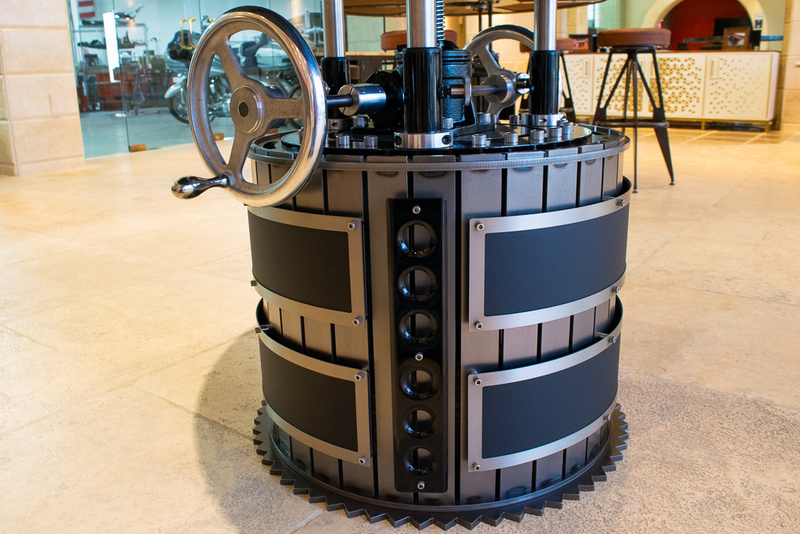 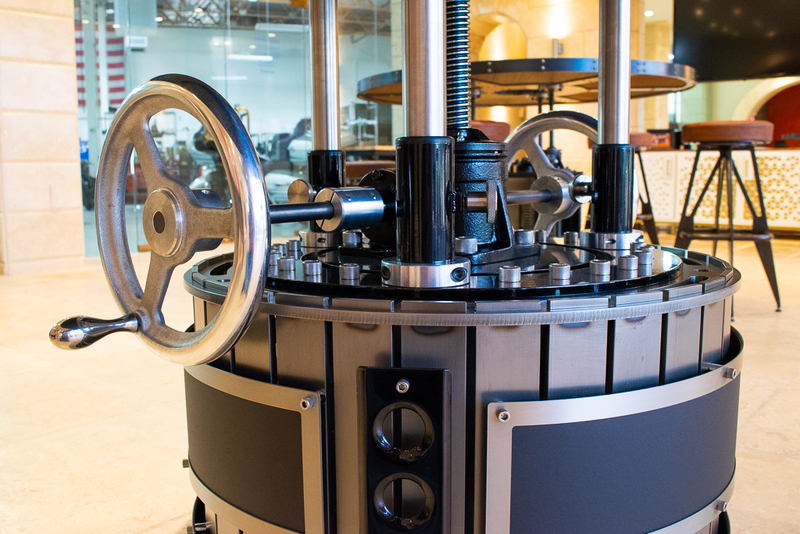 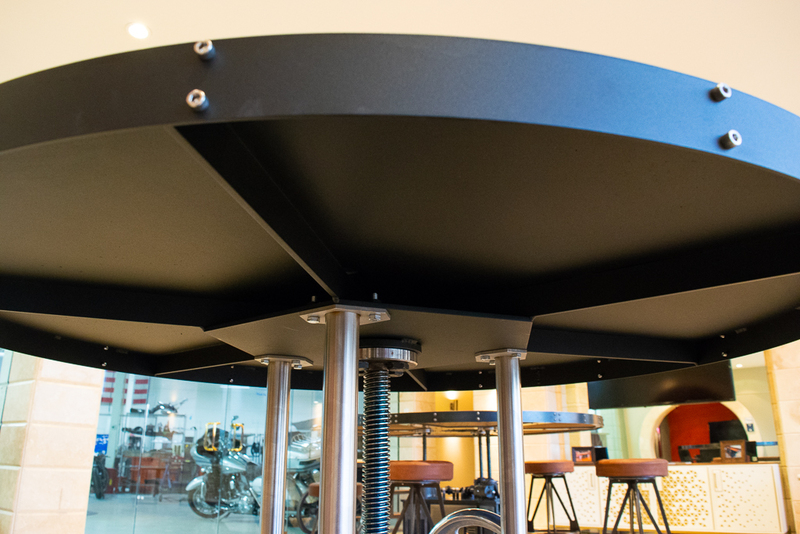 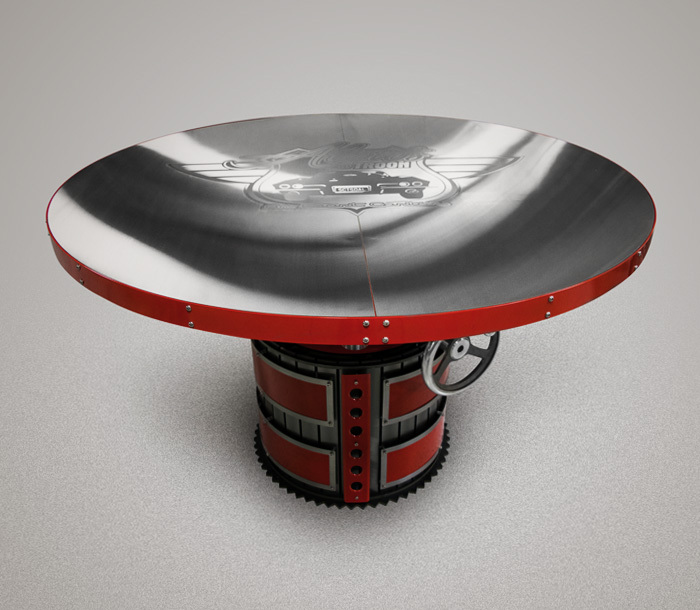 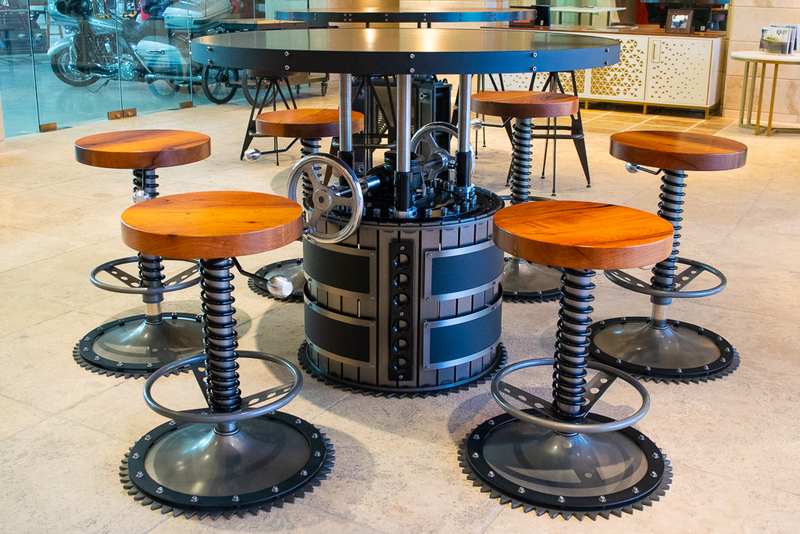 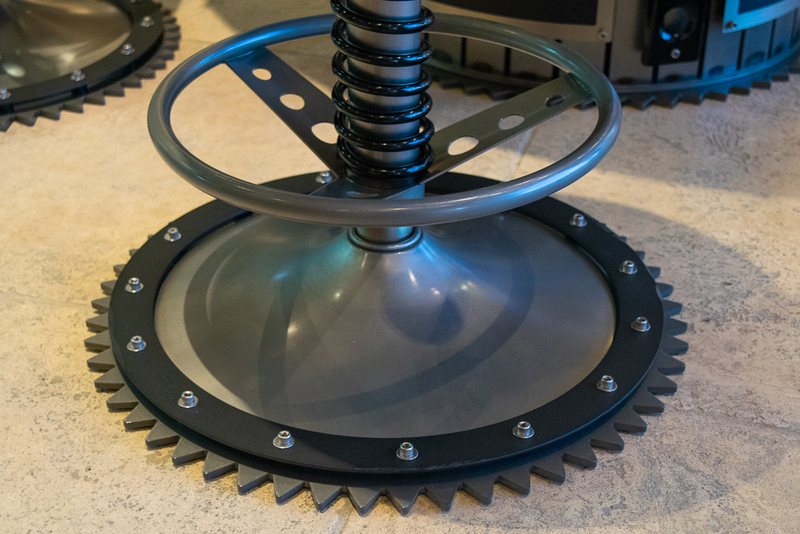 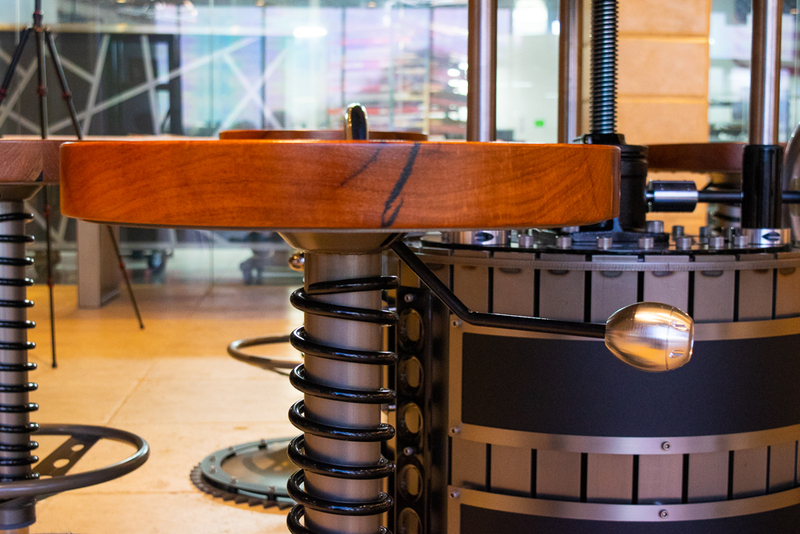 Did we mention the table height adjusts from 30″ to 42″ with the effortless spin of a wheel? 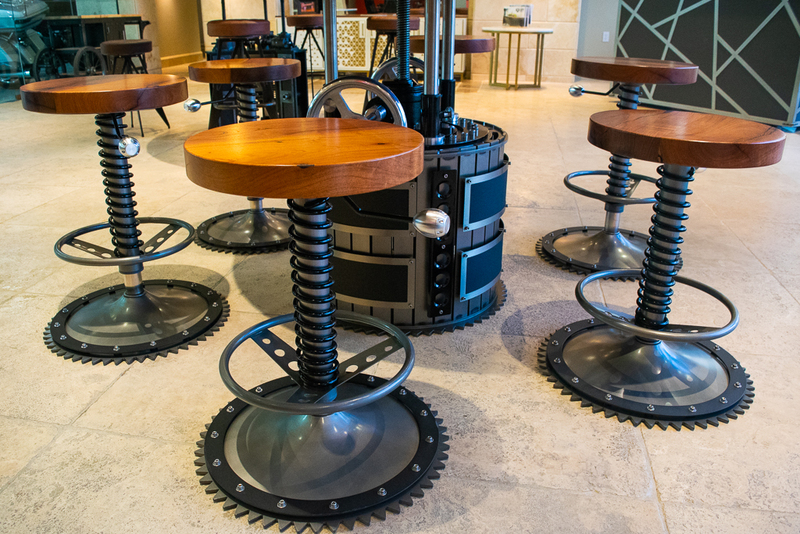 Oh yeah, and the stools are adjustable too…..because why wouldn’t they be?